Gazelle Safari Company Limited (The company) organizes safaris across East Africa, Indian Ocean Islands, Egypt, South Africa and United Arab Emirates. Please take some time to read our terms and conditions as they will form the basics of our commitment and respective obligations. In these terms and conditions “we” and “us” means Gazelle Safari Company Ltd and “you” means all persons named on the booking including anyone added or substituted at a later date. Terms are amended from time to time as the need may arise and the terms at the time of booking apply. Service delivery in Africa may not be as developed as back home for example roads, medical, safety measures and security so kindly bear with us. Please note that the laws of the country you are visiting in which services are provided apply and not those of your home country. 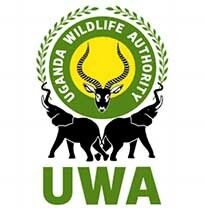 The descriptions, Information and opinions given by us in respect to national parks, animals, sightings, accommodation, itineraries, gorilla permits and security are given in good faith based on the last information available to us. Every care has been taken to ensure the accuracy of the information provided. We cannot accept any liability for any errors or omissions caused by matters beyond our control. Unless a client requests for a specific accommodation, we reserve or recommend the best facility reasonably priced, charming hotels/ lodges with private bath, hot water, good service and value. Prices are based on two persons sharing a double or twin room. We reserve the right to substitute equivalent or superior hotels. We make every effort to arrange shared accommodation for single travelers when requested to do so. If the request cannot be honored, the quoted single supplement will apply. Occasionally, we shall have to cancel confirmed bookings. We always endeavor to avoid cancellations but we must reserve the rights to do so. We shall not cancel your confirmed booking less than 45 days before departure unless we are forced to do so as a result of unusual and unforeseeable circumstances beyond our control the consequences of which we would have avoided even with due care. If we cancel your holiday except where you have failed to make payment or as a result of force majeure, we shall offer you a choice of purchasing an alternative holiday from us of a similar standard to that originally booked if available. If the chosen alternative is less expensive than the original holiday we shall refund the difference and if it is more expensive than the original holiday, you will be requested to pay the difference. Alternatively, you are entitled to a full refund of all monies you have paid except gorilla permits which can only be refunded if the refund has been made available to us. Except if we cancel for reasons other than those mentioned in this clause, we shall have no further liability to you. We regret that we cannot pay expenses, cost and loses incurred as a result of any cancellation. We reserve the right without prior notice, to terminate the holiday of any person in your party if, in our opinion, or any other person in authority, if the person concerned behaves in such a way to cause or be likely to cause danger, annoyance or distress to any third party or damage to property. In this situation the person(s) concerned will be required to leave the accommodation or other service immediately. We shall have no further responsibility towards such a person(s). No refunds will be made and we shall not pay the expenses or costs incurred as a result of the termination. Should you or any member of your party be forced to cancel, you should advise us in writing. A cancellation is not effective until we receive a copy of your written notice. To cover our estimated loss caused by the cancellation and as we may be unable to resell your holiday, cancellation fees excluding insurance will be levied per person as follows. Cancellations received will be subject to the following deductions. 0-15 days 100% of tour cost. Kindly note that cancellation fees are based on the date your written notification is received at Gazelle Safari Company. Complaints must be reported to our representative immediately and to the supplier(s) in question, who will do their best to resolve any problem. 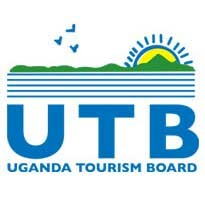 If you remain dissatisfied, a written report should be submitted to our office in Kampala as soon as possible after the incident and not later than 20 days after completion of your holiday, to enable us investigate fully. Regrettably, any liability for complaints not notified in accordance with this procedure cannot be accepted. pilferage, epidemics, quarantines, dangers, incident to sea, land, air travel, and other similar acts or incidents beyond our ability to control. property damage or other loss that may occur due to any act or omission of any such supplier or by reason of any other event over which we have no control. We reserve the right to revise US Dollar prices without notice to reflect market prices without notice to reflect increases in foreign exchange or tariff rates before receiving the deposit from you. 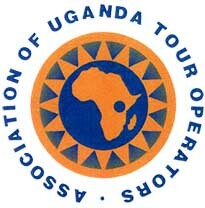 We also reserve the right to withdraw a tour or any part of it to make such alterations in the itinerary as it deems necessary or desirable, to refuse to accept or retain as a member of any tour any person at any time and to pass on to tour members any expenditure or losses caused by delays or events beyond our control. You should be aware that your personal safety cannot be guaranteed while you take on such activities. It is your right to participate in any activities but you should however note that participation is entirely at your own risk and we shall not be held liable for any accidents or injury. Only when payment has been received can permits for gorilla tracking be purchases. Getting a gorilla permit is not a guarantee of seeing the gorillas. Local conditions sometimes mean that access to the gorillas is made impossible at short notice. We are unable to accept liability for any circumstance that might lead to gorilla viewing being cancelled whether it is closure or the national park or boarders; absence of gorillas; security changes. Refunds are at the discretion of the relevant authority and we cannot accept liability for them. We shall use our maximum endeavors to obtain a refund and if a refund is paid by the relevant authority, we shall pass it on the client. Kindly note that chances of seeing the gorillas stand at 98%. It is advisable that before you take a holiday with us, that you have appropriate insurance for the type of holiday being taken. Such insurance should fully cover death, personal injury, personal injury, medical expenses, repatriation in the event of accident or illness or death, cancellation or curtailment of the holiday by side and loss of, damage to or theft of clients’ personal property. Activities with a greater inherent risk such as mountaineering, animal tracking on foot, white-water rafting, should be covered. Evacuation cover shall be provided by Gazelle Safari Company for customers undertaking a full tour such as your selves. The principal company is incorporate din the Republic of Uganda and it operates under the laws of Uganda. We shall make all reasonable effort to ensure that (a) all component parts of your holiday are supplied as described in the brochure and to a reasonable standard and (b) our employees, agents, suppliers and sub-contractors exercise due care in carrying out our obligations under the contract. We accept responsibility for what our employees, agents, suppliers and sub-contractors do or do not do (provided they are at the time authorized by us). If any part of your holiday is not provided as advertised and to a reasonable standard, we shall pay you appropriate compensation if your enjoyment of the holiday has been affected and you have followed the complaints procedure set out in these terms and conditions. This acceptance of responsibility is subject to the clause relating to “Force majeure” above and these terms and conditions generally. Our maximum liability in respect of complaints (except where death, personal injury or illness results or where loss or damage of possessions or luggage which are dealt with below) is limited to an amount equal to the cost paid by or om behalf of the person affected for the relevant services. The maximum amount will only be payable where the person affected has derived no benefit from the holiday and none of the services contracted have been provided. Liability for loss or damage to luggage or personal possessions (including money) will be compensated to a maximum of $30 on the basis that the client is assumed to have taken out adequate insurance cover in respect to such losses at the time of booking. We will take all due care to prevent your death, injury or illness being caused by animal or insect life of the destinations. It is your responsibility to take proper medical and practical precautions in this regard and your attention is drawn to the section in the Travel Notes relating to Health. Medical advice should be sought well before travelling. Subject to these terms and conditions, we accept responsibility should you or any of your party suffer death, personal injury or illness as a result of any failure to perform or improper performance of contract by any of our employees, agents or subcontractors. We will not be liable where any failure to perform or improper performance was due to (i) the acts or omissions of a third party not connected with the provision of the holiday under the contract and which were unforeseeable or unavoidable; (ii) an event which we or the supplier of the relevant services could not have foreseen or avoided with all due care. Any claim must be notified to us in accordance with the complaints procedure set out above. Any person to whom any payment is made (and their parent or guardian if that person is a minor) must assign to us and our insurers any rights they may have to pursue any third party in connection with the claim and provide all necessary assistance to us and our insurers that be reasonably required. Good physical and mental health is essential for the enjoyment of these active, outdoor tours. You may travel in rugged areas away from modern medical facilities. Good physical conditioning is recommended as preparation for all tours especially those involving trekking. By forwarding the deposit, the passenger certifies that he/she does not have any physical or other condition of disability that will create a hazard for him/ herself or other passengers. It is essential that any participant with a medical condition requiring regular treatment or which may be affected by vigorous activity, high altitude, heat, cold or other natural phenomenon or particular foods notifies us and the tour leaders in writing in advance if travel. We assume no liability for medical care nor for special dietary requirements if not informed well in advance. The medical requirements by some places like Ngamba Island is a sole responsibility of the client to meet them. At the time of booking, you must accept the terms and conditions and pay a deposit of 50% of the price of your holiday including fees for gorilla permits. If written acceptance is not received from you, we shall assume acceptance of the terms and conditions once you make the deposit. The balance must be paid in full before the start of the safari. We however reserve the right to request full payment 30 days before the start of the holiday. We reserve the right to take photographic images of individual participants to use for commercial promotion of our safaris. Tour members who prefer that their image not be used are asked to identify themselves to their tour guide at the start of the tour. Prices include Airport Transfers, accommodation, meals as stated, the services of an English-speaking driver/guide, and a 4X4 safari vehicle; portage of two items of baggage per person, park entry fees, gorilla and chimpanzee permits where applicable. Prices exclude all items of a personal nature such as entry visas, tips, telephone calls, laundry, gifts, airport taxes and all drinks. The company reserves the right to vary the safari services agreed with the client in the event of unforeseen circumstances such as road closures, bad weather, problems with national parks or hotels, security considerations. In such cases alternative arrangements will be made as circumstances permit. We ensure that every person is gets a window seat in the vehicle. Every effort is made to ensure that every vehicle is provided in a road worthy condition but no liability can be accepted for breakdown, or any damage or delay. Our guides are instructed to follow our code of conduct for guides, which you must not ask them to break. In case the driver is not disciplined, please inform our office in Kampala immediately. In case of breakdown, it is our responsibility to rectify the situation. We can either withdraw the vehicle in question and replace it or if the breakdown is minor and can be rectified, we reserve the right to do so. My advancement of a deposit to Gazelle Safari Company Ltd certifies that I have carefully read and fully understood the contents of the Terms and Conditions especially those regarding cancellation and refund policies. Limitation of liability and responsibility borne by trip participants. On the advance of a deposit, to Gazelle Safari Company, the depositor, his or her family, and heirs agree to be bound by the above Terms & Conditions.